Newborn brain injuries typically occur because the infant experiences trauma to the brain during birth or because the infant’s brain is deprived of oxygen and cell death occurs. While birth defects or injury in the womb can be a cause of newborn brain injuries, many problems occur during overly prolonged labors or when doctors make medical errors and cause a child to suffer harm. Now, there are new guidelines designed to help doctors identify causes of newborn brain injury so that they can develop appropriate preventative strategies to protect children from risk. Physicians need to review the guidelines released by the American College of Obstetricians and Gynecologists and the American Academy of Physicians. If a medical care provider falls short of taking reasonable steps to prevent newborn brain injury, that physician can be held legally liable for medical malpractice with the help of a Boston birth injury lawyer. According to the American Congress of Obstetricians and Gynecologists, efforts to prevent newborn brain injuries should involve taking a broad evaluation of all contributing factors in each case when neonatal encephalopathy occurs. Physicians should take a maternal medical history; should review obstetric and intrapartum factors, and should study the placental pathology. This is a shift from a 2003 report that focused on determining if deprivation of oxygen was the cause of the newborn brain injury. The task force creating the new guidelines also emphasized that pediatricians need to play a more active role in diagnosing infants with brain injury. While there are around 3,000 different hospitals and birthing centers in the United States that deliver babies, only 1,000 of these facilities have neonatal intensive care units that provide assistance when a baby experiences a traumatic birth. In the remainder of the hospitals, the infant must be referred to a center that can provide appropriate help to an infant who has suffered a brain injury. Prompt diagnosis and transferring the infant for immediate treatment is essential to reduce the long-term risk of damage. 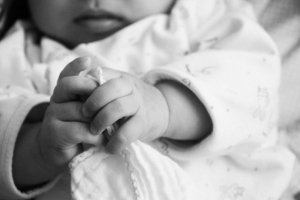 Finally, the updated guidelines reflect important advances in treating newborn brain injury. The recommended new method of treatment involves neonatal hypothermia, which cools a newborn baby’s body temperature down to 92.3 degrees from 98.6 degrees. The cooling lasts for 72 hours in order to minimize the long-term brain damage that an infant can experience. Brain injury must be promptly recognized and physicians should be vigilant in looking for even signs of mild brain injury so this effective treatment method can be administered as soon as possible.